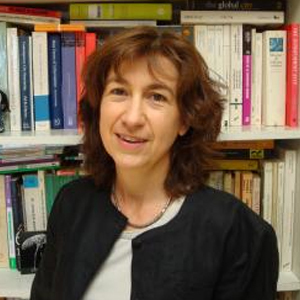 Véronique Dupont is a senior research fellow in urban demography at the French Research Institute for Sustainable Development (IRD), France, in the CESSMA research unit – the Centre for Social Sciences Studies on Africa, America and Asia – in Paris. She is presently the joint director of CESSMA. She is also an associated member of the Centre for Indian and South Asian Studies (CEIAS) in Paris, and a senior visiting fellow at the Centre for Policy Research in Delhi. She was the Director of the Centre for Social Sciences and Humanities (CSH) of New Delhi from 2003 to 2007. Her research focuses on the socio-spatial transformations of Indian metropolises. She is particularly interested in the interrelations between urban policies and residential and coping strategies of the populations in informal settlements. Dupont V., Landy F. (eds), Circulation et territoire dans le monde indien contemporain, Purushartha No. 28, Editions de l’EHESS, Paris, 2010, 340 p.
Dupont V., Heuzé J. (eds), La ville en Asie du Sud. Analyse et mise en perspective, Purushartha, N° 26, EHESS-CEIAS, Paris, 2007, 440 p.